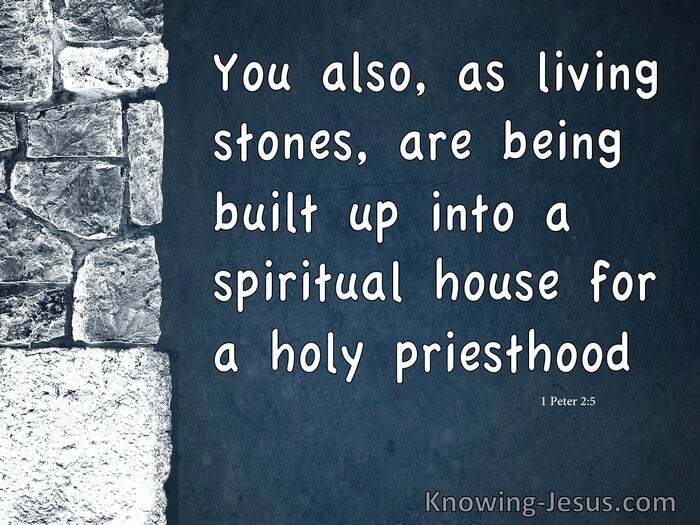 You also, as living stones, are being built up as a spiritual house for a holy priesthood, to offer up spiritual sacrifices acceptable to God, through Jesus Christ. When we were plunged beneath the crimson flood we were washed as white as snow. When we were drenched in the blood of the Lamb we were made as pure as wool. When we plunged into the fountain filled with blood we emerged clean and cleansed. 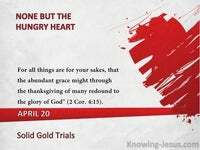 When Christ’s redeeming blood flowed He paid the ransom price for the sin of all. 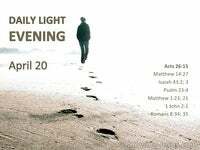 He washed us in His own blood and His righteousness became our inner garment. And you know what….. it is by God’s GRACE. Sometimes scriptural terminology becomes so familiar that we miss its magnitude, but Christ’s robe of righteousness renders us as perfect in the sight of God as Christ. When God looks at you and me, He sees Christ’s righteousness – not our impurity – and the amazing thing is that it is all by GRACE. When we first trusted Christ as Saviour we became a part of the household of God. When we initially believed in Jesus the Spirit took up abiding residence inside us, and we became part of the family of God – and we became His permanent habitation. And the astonishing thing is that is all and only by GRACE. If ever this fact fails to knock us speechless we need to revisit this stunning truth. Sin had rendered us strangers and foreigner – aliens to God – homeless and helpless. Blinded minds and bloodied hearts at enmity with the Creator who made us. 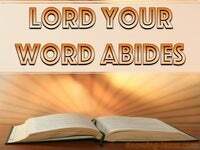 Worldly pursuits and foolish pride set a barrier between us and our heavenly Father. We were without God and without hope – chained by satan and bound for hell – it is not a pretty sight and it had eternal consequences that are inconceivable. There was nothing we could do to extricate ourselves from this chilling position. There was no one that could help for all are helpless slaves of Satan, sin and death. Our eternal destiny was a fait-accompli for our sin nature dictated it so to be. We were sinners by act and sinners by nature – and all were under condemnation. Never will we get our understanding around the atonement – God’s sacrificial Lamb. It is beyond our comprehension that our Creator should choose to die for foul sinners, yet when we pour that crimson flood on the lintels of our heart – we are saved – all we have to do is to believe this truth – trust His word – nothing else. The moment in time we trusted Christ as Saviour – we were born into His family, we became part of the household of God – in eternal union with Christ. At a time known to God we were placed in His family and in-dwelt by His Spirit, we were in-dwelt by the Spirit of God – the home and temple of Christ’s Spirit. We were no longer foreigners to God but were brought close to Him thru Christ.. and you know what… it is by grace – by grace alone and only by God’s grace. And if ever this fails to knock us speechless, we need look again at our position in Him. 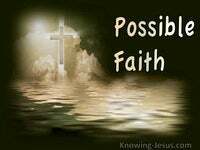 As a child of God (because we believed), we were made part of His household. We became part of the one new man in Christ – His church; His body and His bride. 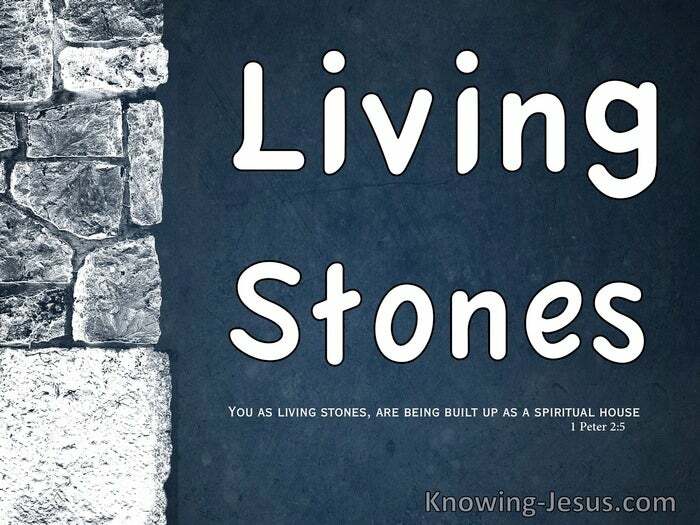 The foundation of God’s new spiritual house are the prophets and apostles, and Christ Himself is the divine corner stone, Who purposed to build His church. When we were plunged beneath the crimson flood we were washed as white as snow. When Christ’s redeeming blood flowed, He paid the ransom price for all sin… yours and mine. He washed us in His own blood and His righteousness became our inner garment.. and you know what….. it is by God’s GRACE. We became God’s child and centre of His household and His holy habitation. His children and His home; His sons and His temple; His heirs and His Bride. We were apportioned an eternal inheritance and became one with the saints of God – and you know what…. it’s grace – all Grace – it’s all grace and only God’s GRACE.